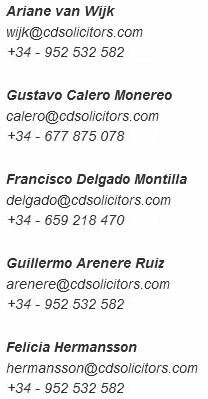 C&D Solicitors mainly operates in the eastern part of the Malaga province, which is known as the Axarquia (Nerja, Velez-Malaga, Torre del Mar, La Viñuela, Alcaucin, Periana, Arenas, Torrox, Frigiliana, Sayalonga, Competa, Rincón de la Victoria, etc.). Here we have our home base in Torrox Costa and have built up a lot of experience, especially in rural property law. 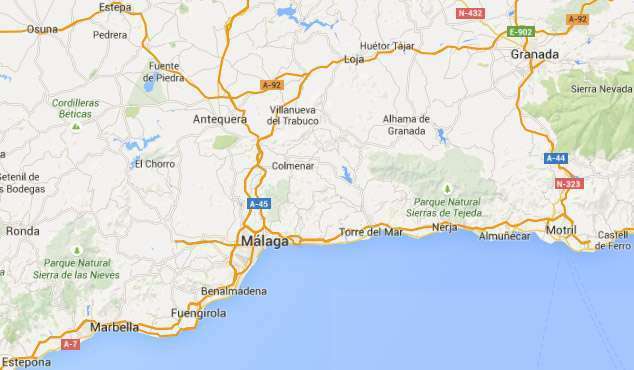 Besides of the Axarquia, from this office we also serve clients in the rest of the province of Malaga (Costa del Sol, Torremolinos, Benalmadena, Mijas, Fuengirola, Marbella, Estepona, etc.) and the provinces of Granada (Costa Tropical, La Herradura, Almuñecar, Salobreña, Motril), Almeria, Cordoba and Jaen.